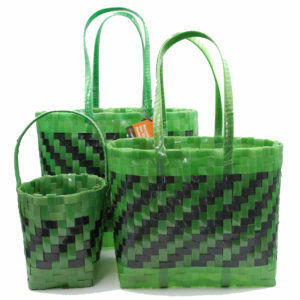 SKU: 5060559770255 Categories: Little Things, Everything Else Recycled! 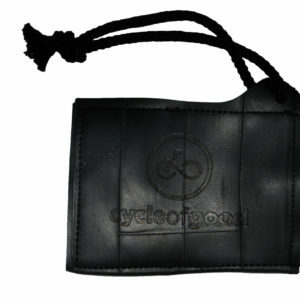 The perfect gift for the bicycle lover in your life! 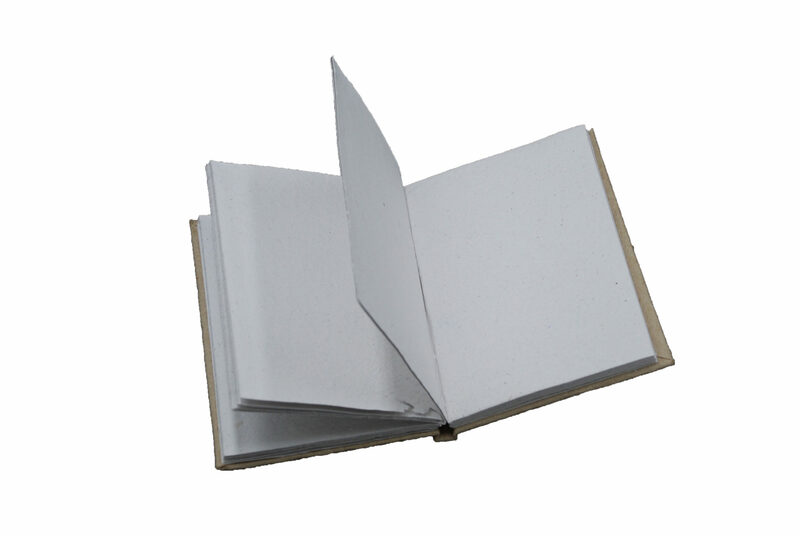 These lovely notebooks are made by a paper-making co-operative in Blantyre Malawi. 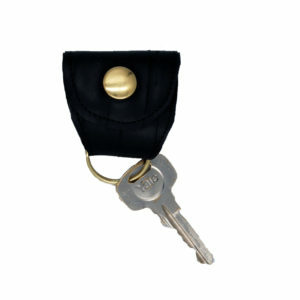 The cover is recycled elephant dung (don’t worry it’s whiff free!) 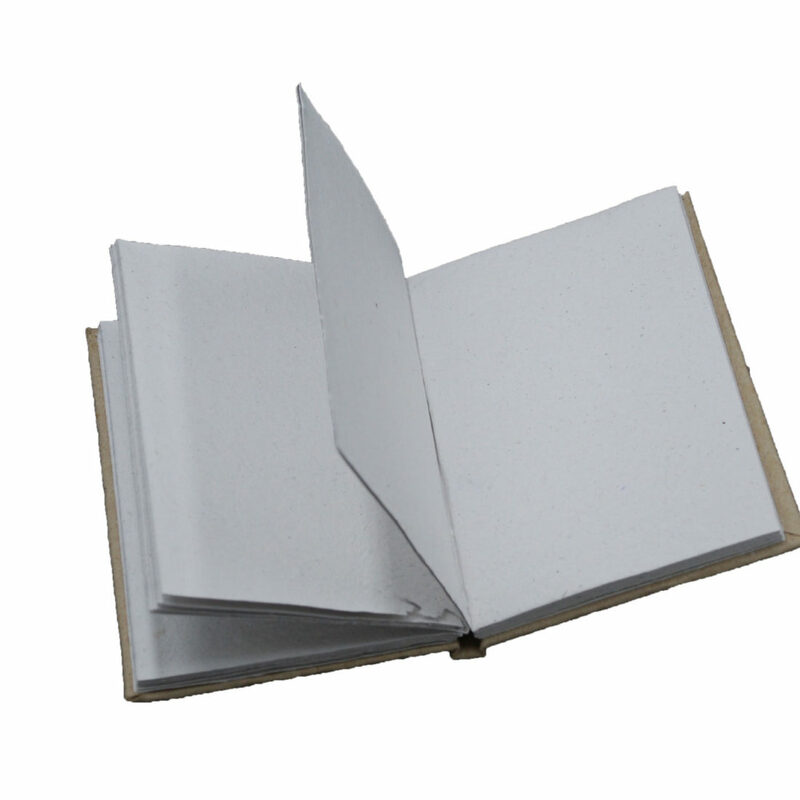 and the inside pages are recycled banana pulp paper. 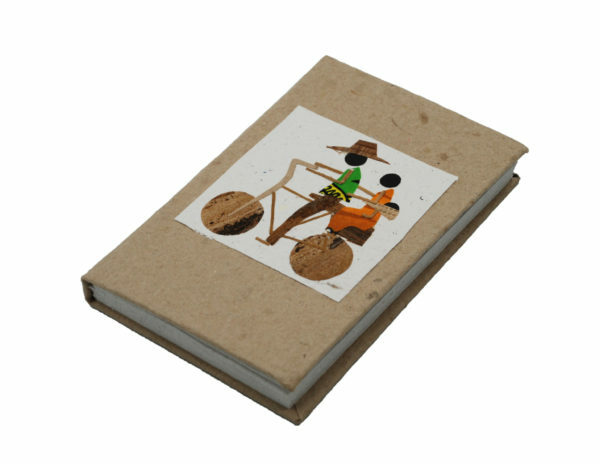 The cover is decorated with a very Malawian bicycle related image, it’s a collage lovingly created from scraps of cloth and plant fiber. 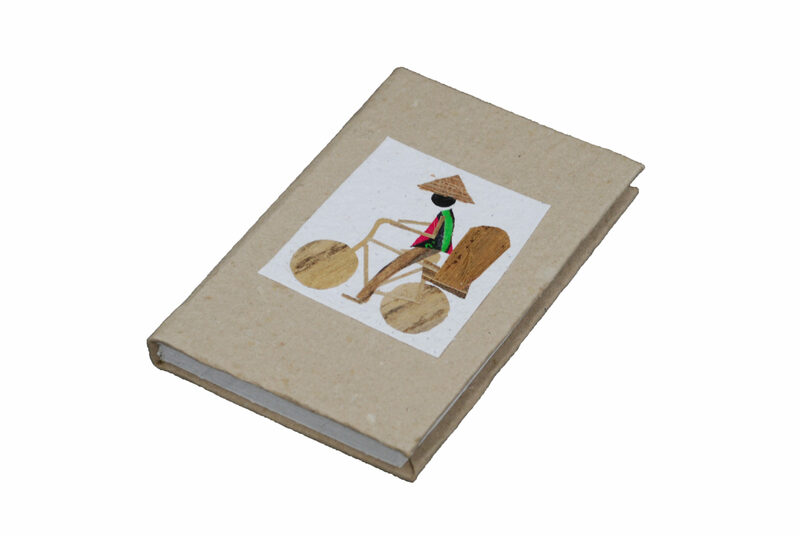 The pages have a thick parchment feel, slightly uneven; so not ideal as a school exercise book, but perfect for doodling away, perhaps the odd water-colour or why not use it as a journal of your cycling adventures?! It’s roughly A5 in size and has 25 pages. 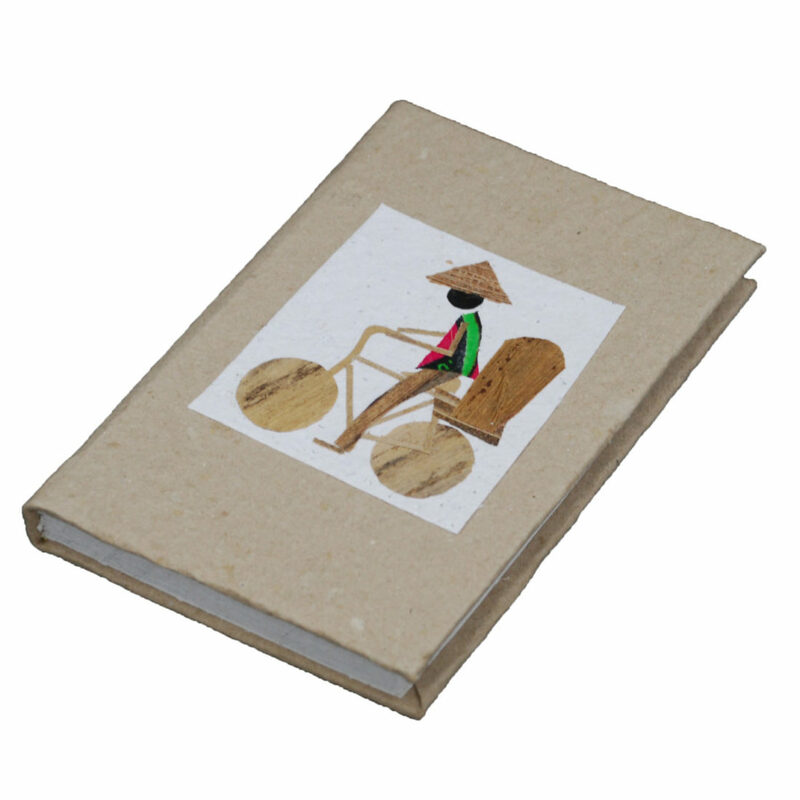 The design on the front will vary from book to book, but have are the same delightful Malawian character.